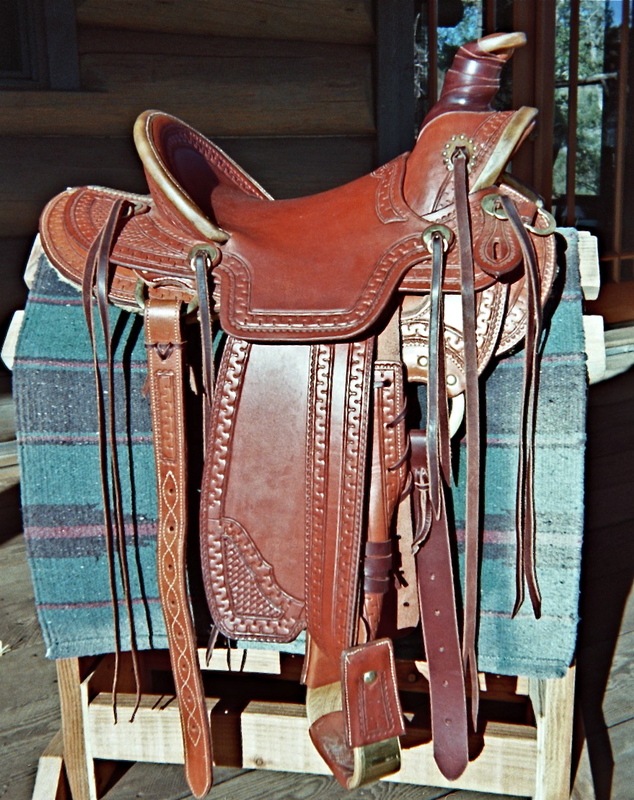 Butch Cassidy tree with 15″ seat; semi-quarter horse bars. 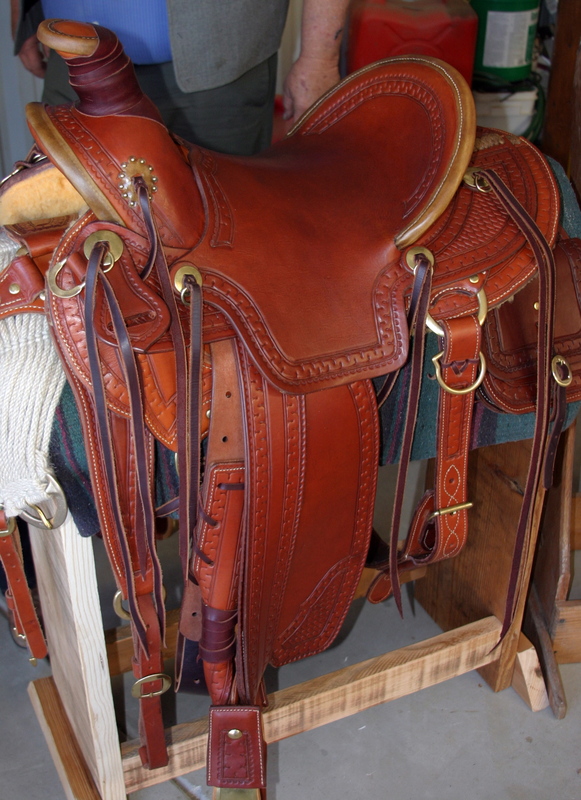 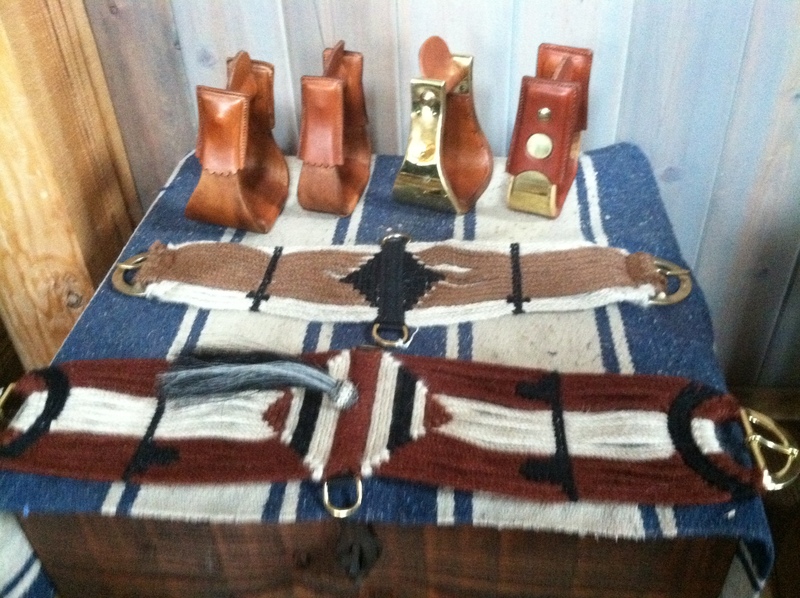 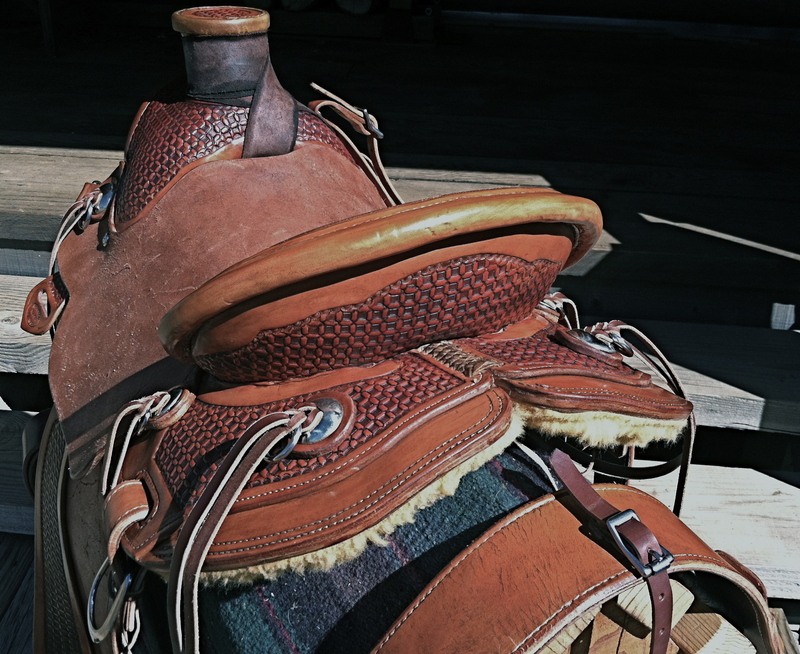 4″ horn & 4″ cantle; 7/8 flat plate rigging with brass rings, double rigged. 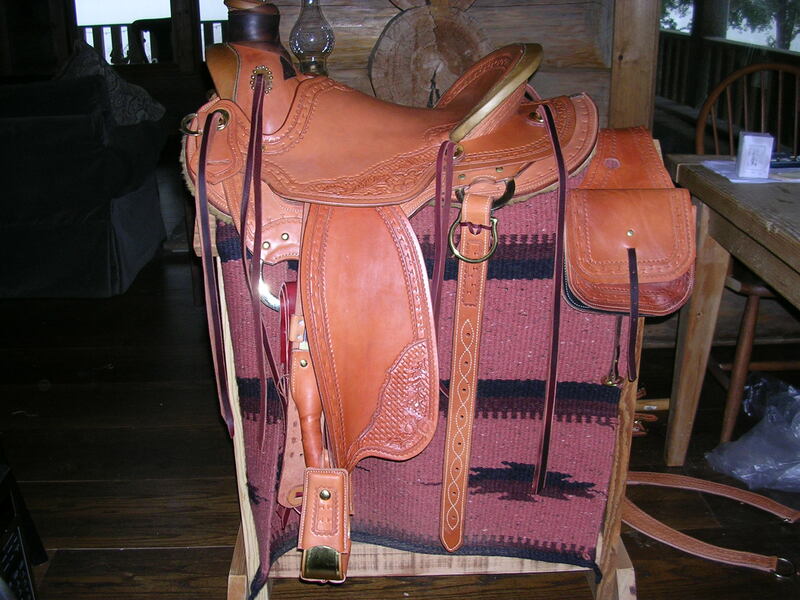 Rawhide bindings and brass hardware throughout. 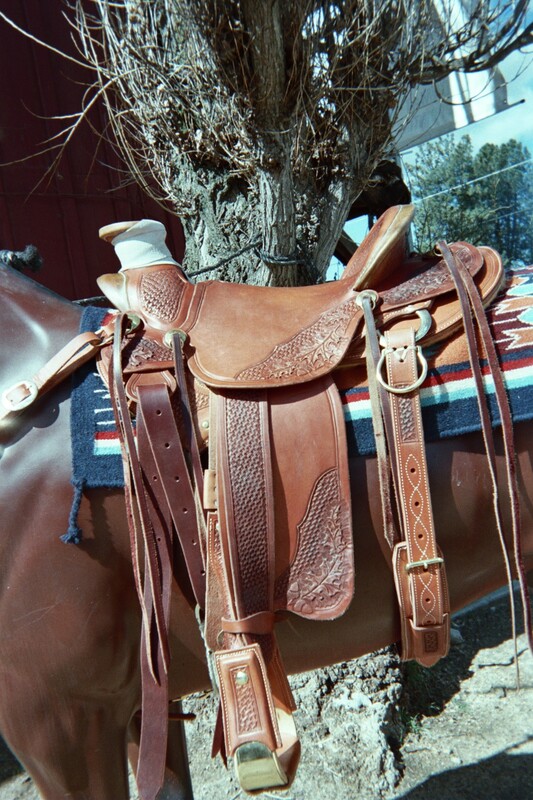 Serpentine border stamp with corner panels. 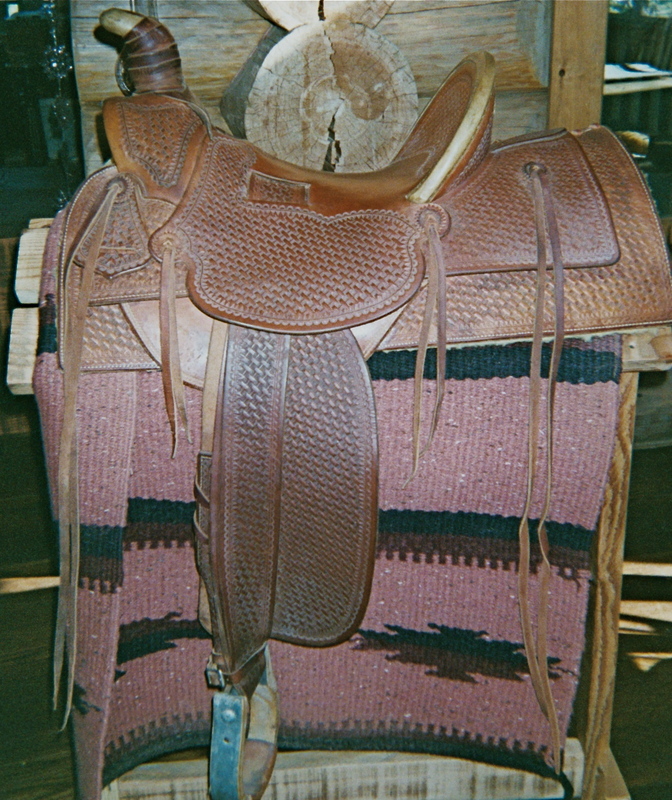 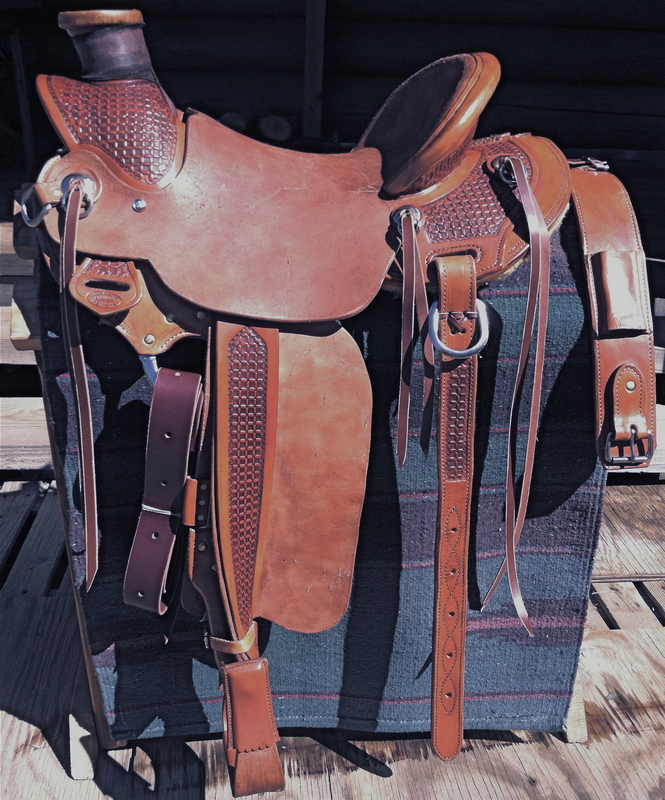 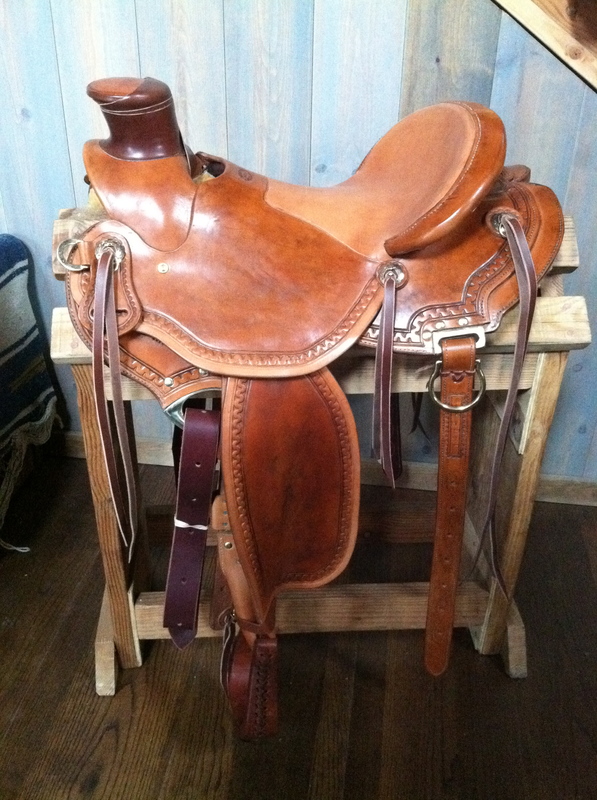 Breast collar and small 8×8 saddle bags included. 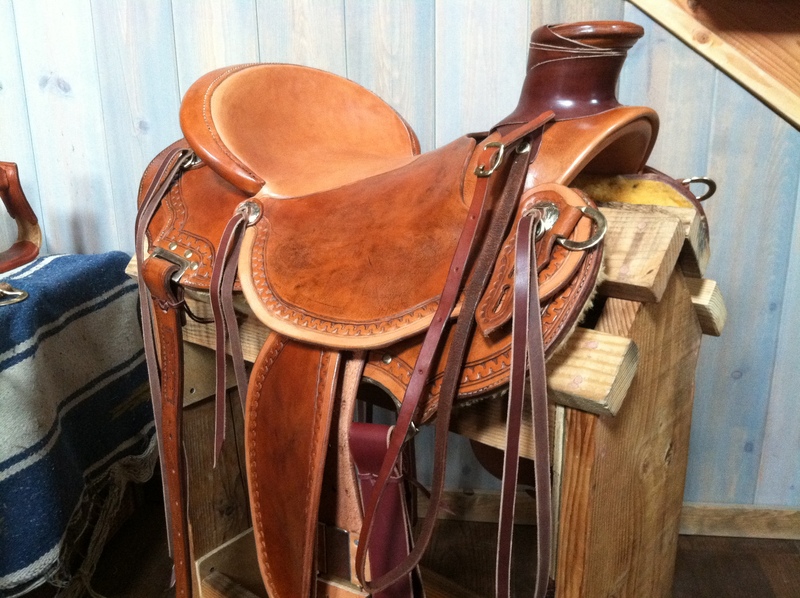 Welcome to Dave’s Saddle Shop!